This work provides inexperienced investors with the information and tools they should need to invest in bonds. 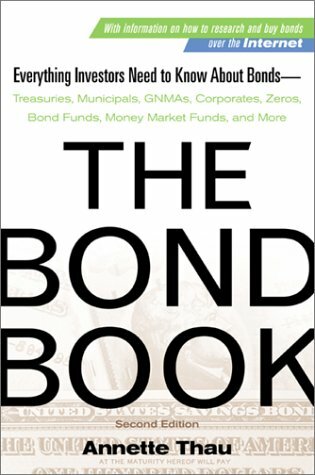 This edition includes a new section on how to use the Internet to buy and sell bonds, and a chapter devoted to foreign bonds. Annette Thau, Ph.D. is a former municipal bond analyst for Chase Manhattan Bank and visiting scholar at the Columbia University Graduate School of Business. She earned her Ph.D. from Columbia and has received numerous awards, including a Woodrow Wilson Fellowship, a National Endowment for the Humanities Fellowship for Younger Humanists, and University Fellowships from Columbia University.